New Book! And new reward tiers on my Patreon. Over 90 pages, in color. Includes every political cartoon I published in 2018, plus commentary and dozens of never-before-seen images. The new images are mostly drawings-in-progress, but also include some panels that didn’t make it to the final cartoon. The image above is just a mock-up; those aren’t necessarily the final colors, and the real book won’t be that thick. I’ve never self-published a book like this before, so I don’t know exactly when it’ll be out. But think I will be able to mail out copies in April or May. And going forward, I plan to do a new book every year, collecting the previous year’s cartoons. I’ve also added new reward tiers to my patreon. But first, let me say: You can safely ignore all this if you’re a patron who would like your pledge to stay what it’s been. I’ll be honest – I’m hoping that some current patrons will find the book tempting enough to increase their pledge. :-) But I’m incredibly grateful for every single patron’s support, at whatever level. 50 cent tier– No one new can sign up for this level (because Patreon changed the minimum to $1). But for you folks already pledging at the fifty cent level, don’t worry! You’re “grandfathered” in at that pledge level, and can stay at it as long as you like! $1 tier – You get to see most of the cartoons a few days before I post them in public. $3 tier – You’ll get a pdf copy of each year’s cartoon collection, as they come out. This way you’ll get a pdf file with all the year’s cartoons, rather than just a few a year when I happen to remember to do it (and let’s face it, I haven’t been great about that). And the pdf file will be high enough res so you can print cartoons out if you want. $5 tier – You can share most of my cartoons even before I post them in public! Plus, of course, you’ll get the pdf copy of the book. $8 tier – Here’s where it gets really exciting. At $8, you’ll get a PAPER copy of each year’s book mailed to you. 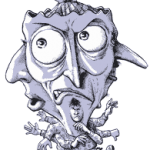 $10 tier – You, or a person or organization of your choice, will be thanked in the sidebar of one or two cartoons a year! 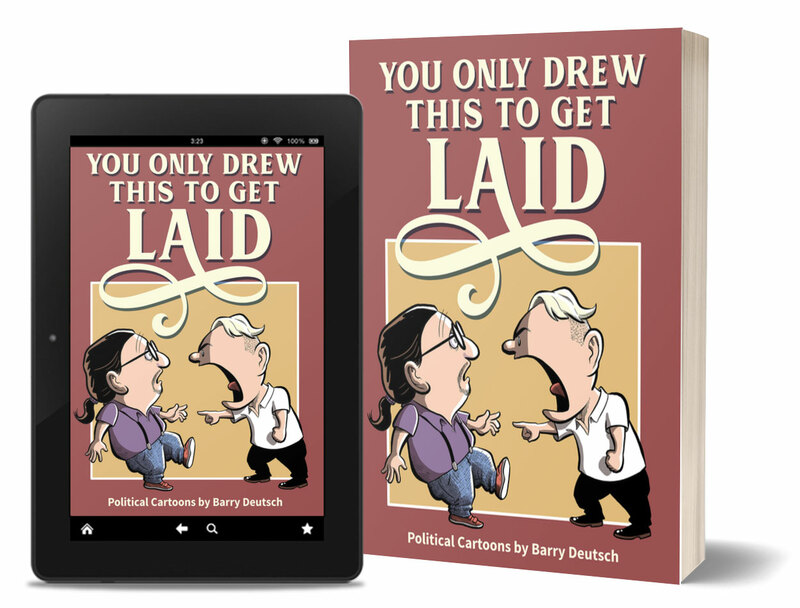 (This could be an awesome gift for a loved one who likes political cartoons.) PLUS you’ll get the paper copy of each year’s book. $12 tier – This is just like the $10 pledge, except that I’ll hand-sign your copy of the book to you. (Or to whoever you designate). $15 tier – You’ll get everything listed above. Plus, I’ll draw a a one-of-a-kind sketch in your book! I’m not talking about a 2-second head sketch either – I’ll take some time and make it nice. I really can’t wait to hold this book in my hands. I hope some of you are looking forward to that, as well! For my patrons, thank you all for supporting these cartoons. I’ve gone from six cartoons a year to 45 cartoons a year – an incredible increase, and one that I could never have done without all your help. You folks are awesome! This entry posted in Cartooning & comics, My publications. Bookmark the permalink.